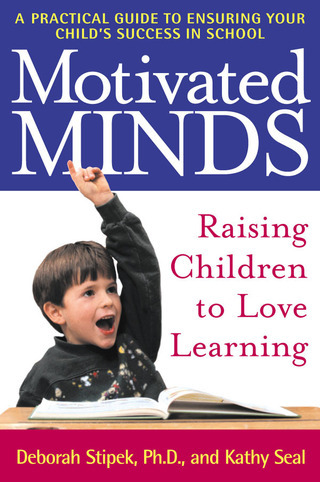 Raising Happy and Successful Kids - How can you help your child love learning? Help for today's pressured families! 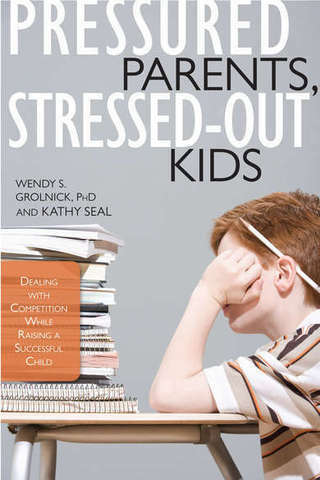 Parental anxiety is on the rise, due to the hypercompetition in our children's world. Parents constantly face this dilemma: you don't want to apply pressure -- yet what might happen if your child doesn't take Soccer for Toddlers – or that extra SAT prep course? Instead of criticizing parents, Pressured Parents, Stressed-out Kids shows you how to relieve that pressure, by staying highly involved with your child, while encouraging his or her autonomy. That will allow the child's intrinsic motivation to flourish, leading to high achievement. "This is a first rate book. Even we sports fans who think competition can be good for kids have to admit that this book illuminates those moments when beating the other kid, or besting the family down the block, is distinctly unhealthy. The advice it offers to parents who feel real pain at such moments, who don't know how to control their own longing to succeed through their children, is the most sensible I have ever read." -- Jay Mathews, Washington Post, and author of Work Hard. Be Nice: How Two Inspired Teachers Created the Most Promising Schools in America. How can you help your child love learning?